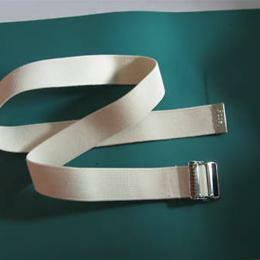 Posey E-Zee gait belts are ideal for patients or residents requiring ambulation and/or transfer assistance. Helps prevent caregiver back injuries and assists in safe patient transfer and ambulation. 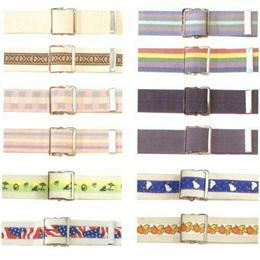 Features hook and loop closures with D-ring loops. Constructed of sturdy cotton in standard white or navy, or a variety of other colors. Fits waists up to 54” (137 cm).